For years, a practical application of Blockchain technology in the insurance industry has remained just in theory. But today, with the proper utilization of decentralized ledger technology, operational as well as effective solutions for enhancing several processes in the insurance industry is practical. Before jumping into details, let’s take a quick look into the history of blockchain technology in the insurance sector. Blockchain technology was invented in 2008 to serve as the public transaction ledger of the cryptocurrency named as bitcoin. As a matter of fact, Blockchain was one of the most searched technology words on Google during the latter half of 2018. This points to the increased inquisitiveness surrounding real-time application of this technology. Initially, blockchain was used only as a public transactions ledger. However, the technology underwent modifications when technological and business experts realized the potential applications of blockchain in other business sectors. Today, blockchain is categorized into the public blockchain, private blockchain & consortium blockchain ( semi-decentralized ). 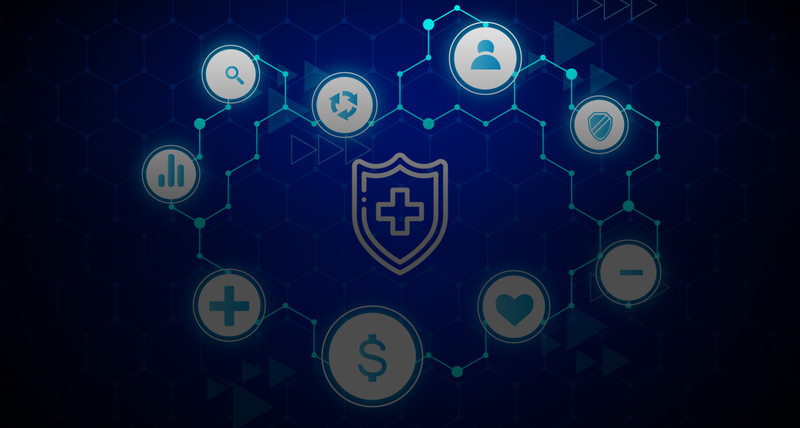 In the insurance industry, blockchain showcased promising applications to enhance domains like peer to peer insurance, micro-insurance & parametric insurance. Researches showed that the adoption rate of blockchain technology in financial services spiked to over 14% by 2016. Integrating Blockchain in the insurance industry can open up a lot of possibilities. Practical applications of blockchain in the insurance industry are disrupting the way the insurance transactions are handled. Insurance is a contract which offers financial protection from a potential loss. It is a form of risk management. There are different types of insurances like auto, health, life, property, causality ( p&c insurance ) and even reinsurance. The diagram below shows a few of the major problems faced in the insurance industry. What is the prime use of Blockchain in Insurance Industry? At a very basic level, blockchain is literally just a chain/database of blocks of digital information. Here each block is linked to another and each has a unique code. It can also be defined as a distributed, encrypted peer to peer ledger of records called blocks. The advantages of this technology are that it is distributed, decentralized, secure, transparent, incorruptible, immutable and auditable. There is immense potential for blockchain technology to disrupt the insurance industry. Blockchain in insurance industry changes the way we share insurance data, process claims and prevent fraudulent practices. Thus impacting business models and creates greater trust and transparency. What are the major pain points faced in the insurance industry? In a practical sense, economic development, the rise in insurance interest rates, increased levels of the insurance investments, etc must have contributed a lot for insurance companies in 2019. But still, the profit levels are on the far side of the business. This is due to the lack of the right technological solution to prevent the losses caused due to frauds in the insurance industry. The insurance industry understands that it must adopt new technologies to tackle these challenges and stay competitive. That’s the reason why we are witnessing many blockchain initiatives in the insurance industry. 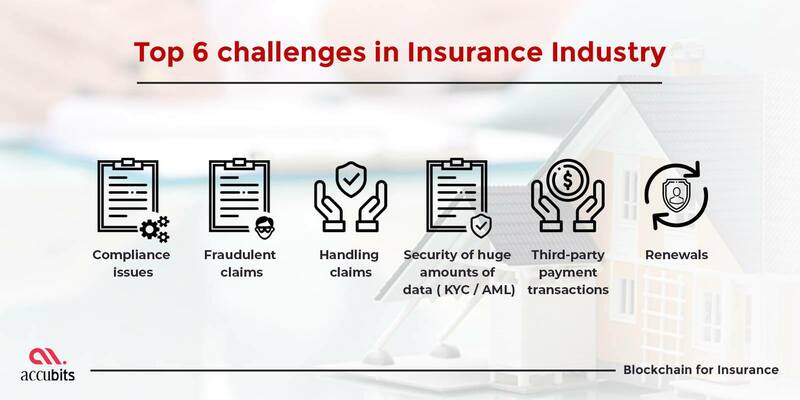 Blockchain technology can help insurance companies in overcoming the challenges they are facing in the current market. They help in creating transparent business operations built on trust and stability. Billing for most insurance claims had always been a complex process. Many customers usually get confused with the insurance premium they need to pay. This is due to the fact that each health plan is a combination of deductibles, payment exclusions, maximum payments, coverage areas, etc. It is almost impossible to recognize entirely the areas that come under your insurance plan. In most cases, you need to have a direct call with the representative to get a clear idea of the coverage areas. Some representative may confuse you even further. So you need to practically keep a record of the claim papers & insurance coverage documents with you all the time. Does your healthcare services bill under the present insurance plan? Are you billed with a monthly/annual premium amount for your plan by your insurance provider? If you are billed with a premium, then have you been receiving a billing receipt for the paid premium? If the insurer paid for your healthcare billing then, have you received a receipt for the payment made? All these areas clearly emphasize the lack of a dependable operational solution to run insurance business operations. As a result of digitization, there is a rise in data stored in the cloud network. This has prompted insurers to keep stringent measures to keep customer data more safe & secure. Lack of proper external data has always been a concern for insurers since the insurers rarely visit the policyholders’ physical address. The lack of dedication of the support level staffs is again a matter of concern for the insurers. Compared to this, the fraud practices in the IT sector are much more advanced, as they always target the weakest link in the block to get into the system. The co-operation of the insurers & the customers are always at the far end. Moreover, outdated internal security systems are also a matter of concern for the private insurance companies. Above all, in an environment where consumers always choose the most reliable way for data transfer & communication. It could be particularly, hard to follow with the current technologies. In general, most insurance companies collect large amounts of personal data from the policy holders. Moreover, significant data processing is done by insurers, re-insurers & the service providers based on the data collected. The bulk amount of data transfer could always leave access levels vulnerable across global borders. This makes the system more prone to hacking and data losses. This situation could be particularly risky for the personal line of business. The non-compliance with the data protection regulation could even impose huge levels of fine on companies ( in worst cases over 42,000 such cases are recorded ). Re-insurance policies keep changing from time to time. It is a process in which the one person ( entity or insurer ) tries to indemnify complete risk or part of the risk involved in an insurance policy provided by an insurance service provider for the premium amount or insurance plan. This is a way to prevent the insurer from suffering potential losses through insurance claimed by a policy holder. Re-insurance could be even done by multiple insurer’s to share the risk of losses involved in the claim by pooling together their insurance policies. In other words, it could be seen as insurance coverage for the insurer or insurance service provider. Re-insurance policies are governed by numerous government laws and guidelines. Keeping tracking of each one would be a tedious and time-consuming task. We have created a designer tool that can help you design the tokenomics for your ICO.? Studies estimate that insurance frauds estimate to about to $7.55 billion annually. Even for global economic leaders like the UK, losses due to insurance fraud account to £2.5 billion annually. Insurance fraud is usually classified into two —soft fraud & hard fraud. Soft fraud happens due to the over exaggeration of facts of otherwise legitimate claims to the sum of insurance coverage amounts. Soft fraud is also known as opportunistic fraud. While hard fraud happens when the insurance policies terms and conditions are deliberately twisted. Such scenarios include self-invented damage, collisions & destruction to facilities or infrastructure so that claims for insurance payment could be made. In fact, all such situations exist due to the lack of a proper system to analyze insurance claims & documentation procedures. Incapable technologies are what makes it possible for fraudulent activities to exist. Now let’s explore the effects of integrating Blockchain in insurance Industry. Using smart contracts, the insured and the insurer would benefit from managing claims in a quick and transparent way. On submission of claims, the blockchain would verify contracts and ensure that only valid claims are paid. Multiple claims submitted for the same eventuality can be tracked in the network. On meeting the required criteria, the contract could trigger payment of the claim without any human intervention. It thereby helps in improving the speed of resolution for claims. Claims data stored in a shared ledger will help insurers to collaborate and identify suspicious activities across the ecosystem. It is estimated that between 5 to 10% of all insurance claims are fraudulent. 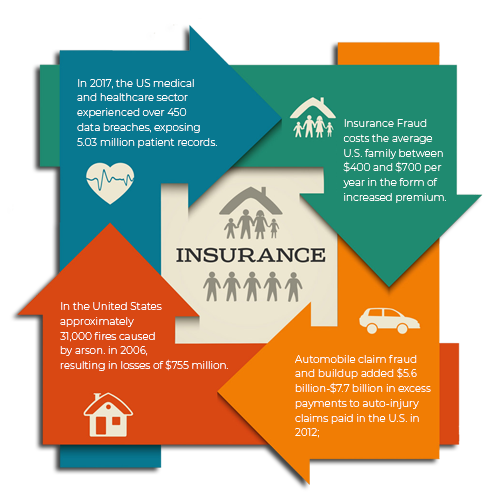 The total cost of insurance fraud is in excess of $40 billion a year. This is not only just about insurance companies losing money, but also about the effect of increased premiums for the customers. Smart Contracts and immutability of Blockchain enabled solutions to help in the prevention of fraud. A smart contract is a computerized transaction protocol that can digitally facilitate, verify, execute and enforce the performance of an agreement. These transactions are trackable and irreversible. This process is automated and can act as a compliment for legal contracts. Smart contracts help in the management of claims in a highly transparent and responsive manner. Moreover, the benefit of a smart contract is that it promises accuracy, transparency, higher speed, trust and data storage. Customers have a fear of losing control over their personal data. Application of blockchain in insurance industry serves as a reliable solution to drive efficiency and security. Blockchain technology allows personal data to be controlled by the individual, while the verification is registered on the blockchain. Customers’ personal data could be stored on a distributed ledger, with the consumer being in control of who has access. Insurance companies are also looking at blockchain to enhance their identity-based solutions. It provides validated data about an individual customer. As a result, it makes it easier to use privacy based data, especially in KYC / AML transactions. Protecting data/asset provenance, and enabling data portability and auditability is possible through its time stamping and immutability attributes. Blockchain solutions help all players from agents and brokers to distributors and underwriters. By making using of the same source of data to underwrite risks and make decisions. The shared ledger enables elimination of errors thus increasing the overall efficiency and transparency across the entire value chain. 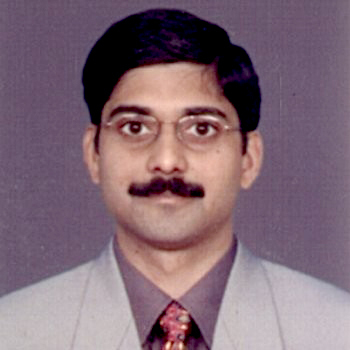 Thus, it can indirectly reduce costs in data management too. Reinsurance is insurance for insurers. Currently, it’s not an efficient system and is determined by one-off contracts. Depending on the type of reinsurance purchased. It covers a proportion of an insurers risk for a certain period or a certain type of risk. Every risk in a contract needs to be individually underwritten. Insurers will typically engage multiple re-insurers. Which means that the data has to be exchanged between various parties to process the claims. A blockchain ledger can easily provide insights and notifications involving an insurer. In case an insurer is seeking to offload the risk between two separate re-insurers. In addition Blockchain technology even support the reinsurance processes. It streamlines the flow of information on a shared ledger ( distributed ledger technologies ) between insurers and reinsurers. Blockchain network enables detailed transactions of premiums to existing on both insurer and reinsurers system at the same time. For instance, use of blockchain in insurance industry eliminates the need to reconcile book for each individual claim. The major problem faced by this sector is gathering the necessary data to evaluate and process claims. At present, this is an error-prone process as it involves a lot of manual data entry. And it also requires proper coordination between different parties. By allowing the policyholders and insurers to track and manage physical assets digitally. Application of blockchain in the insurance industry can automate the claims processing through smart contracts. It also keeps a permanent audit trail. Imagine that a person meets with an accident. To recover from the losses they have to submit a claim to the insurance company. The insurer will then need to examine the claim. In a Blockchain network when a person takes an insurance policy. The insurance providers will have their agreements (smart contracts) built into the blockchain. So that the payments will be triggered based on specific conditions. Consequently, this allows policyholders claims to be processed efficiently & reliably. Here, all the parties involved in the transaction executes its necessary processing activities using pre-established smart contracts. The personal health records of customers could be encoded and stored on the blockchain. It is done with a private key, so that they are only accessible by certain individuals, thereby ensuring privacy. By setting up a smart contract between the patient and the insurance company the claims process can be simplified. For the insured, the smart contract will self-execute once the medical procedure has been completed. For this, all the terms and conditions mentioned in the contract has to be fulfilled. The receipts of hospitalization will be stored on the blockchain. Then it will be automatically sent to the insurance providers as proof-of-delivery ( serves as a proof of concept). Life insurance deals with the claims associated with death or maturity. Again, blockchain in insurance industry could help create a streamlined unified solution. When a death occurs, the hospital enters the details of the deceased into the blockchain network. The data is retrieved and processed by the insurance company to check for a possible match in the company records. The death registration form generated by the government department along with the hospital certificate will be shared in the blockchain network. This form will be further processed and the death certificate generated. The documents can then be shared with the insurer and beneficiary. Simultaneously, the blockchain network makes sure that the documents reach the required participants in a secured manner. Hence, it avoids multiple exchanges of the documents. Since blockchain is one of the newly introduced technology, most companies don’t know how to adopt the technical capability of blockchain in their business operations. Let alone, the number of blockchain experts fully utilizing it is less than 1,000 all over the globe. Many insurance companies might be confused about the steps they need to follow for the proper implementation of blockchain into their system. The technological terms & processes in blockchain are even more confusing for enterprise business. 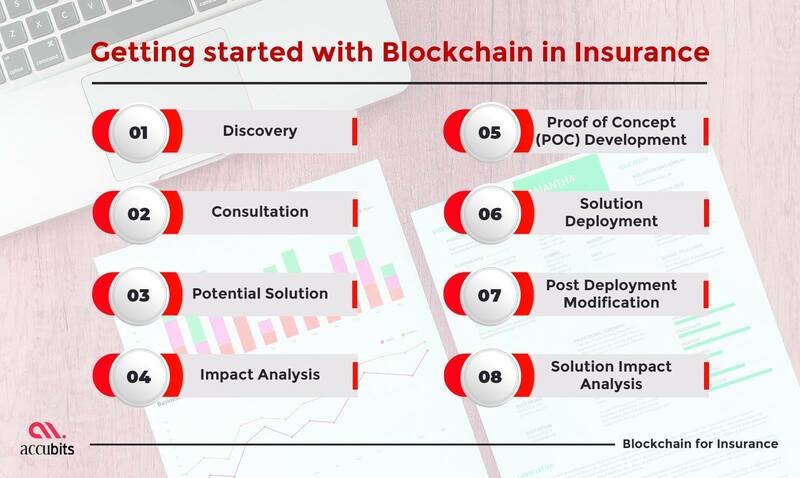 Here’s a detailed guide described in 8 simple steps to get started with blockchain for insurance companies. Firstly, the discovery stage begins with the realization of problems & issues in the existing system. In some cases, the cause of the problem or issue might be the mismanagement of records, improper resource allocation, the existence of unchecked data or even personal errors. In particular, the solution to the problem is the proper installation of a reliable system. The consultation stage involves consultation with an expert to discuss the technical feasibility of the implementation of the solution. Here, the existing issues & problems in the present system is discussed. Then the technologies to be implemented into the system are discussed. In addition, the cost of installation and the infrastructure costs of setting up are calculated. The potential benefits that accompany the discussed technology are also discussed. In the potential solutions analysis stage, both parties come into an agreement on the type of technology and solution. Also, the project requirement of the company is even discussed at this stage. The estimated time for the installation, completion & testing of the system is also discussed ( ETA ). In the Impact analysis stage, a thorough analysis of the system is carried out. Then an implementation strategy is prepared based on it. In this stage, each dependency involved are analyzed such as server requirements, the configuration of the devices & potential impact of the solution on the existing system are listed. Altogether, these are then listed as a proper impact strategy for easy understanding for the business. Proof of concept stage where the solution is implemented into the business premises. Here a team of development experts verifies the operation capability of the solution in the business premises. POC development delivers a precise insight into the areas where the solution was effective. It also shows insight into the areas that require improvement too. In the solution deployment stage, after proper analysis of business functionalities, the actual solution is successfully deployed into the business system for practical use. In the post-deployment modification stage, where the business areas that need to be fine-tuned for better performance are found. Then such business areas are fine-tuned for better performance of the solution. Fine-tuning of the solution requires the need to work closely with the business representative. Addition of entirely new functionalities other than that discussed at the beginning of the deployment may even incur additional costs. Lastly, in the solution impact analysis stage, the performance of the solution in the business premises are calculated. Also, the impact that the solution has on real-time business operations are also analyzed. As a whole, the implementation of blockchain reduces the overall operational cost by 20%. Also, the number of manpower required to run business operations could be brought down to just 75% for insurance companies. The market share of Blockchain in the Insurance industry was valued at approximately USD 17 million in 2016. At any rate, it is anticipated to grow at a rate of more than 85% year on year till 2025. Also, by incorporating blockchain in insurance industry numerous long-term benefits are attained. These long-term benefits include lower operational costs. In the form of reduced duplication and increased automation of processes, reduced risks ( enhanced risk assessment ) and secure and decentralized transactions. Besides through higher levels of trust, transparency and cost savings established between the insurer and the insured. Better advancement of blockchain technology opens up more business sectors & geographies. Consequently, cryptocurrency could serve as a secure form of payment for claim settlements & insurance premium payments in the near future. In addition, this allows insurance premiums & settlement claims information’s to be updated in real-time. The insurance industry is on the verge of disruption. Hence, it is poised to grow multifold through comprehensive customer experience.